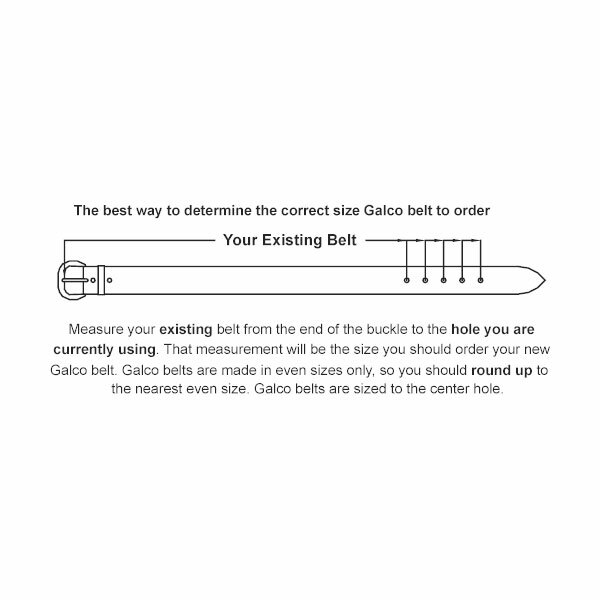 GG-Men's Belt Sizes: Select One32"34"36"38"40"42"44"46"
The SB3 Concealed Carry Leather Dress Handgun Holster Belt by Galco is suitable for all occasions; and, is designed to easily support the weight of your holstered defensive handgun. Designed to carry the weight of a handgun. Black & Havana Brown with a nickel-plated buckle. Please check the sizing instructions shown below. Keep in mind: If you will be wearing a holster and/or magazine carrier inside the pants, you may need to add 2 more inches. The Concealed Carry Leather Dress Handgun Holster Belt by Galco is made in the USA.